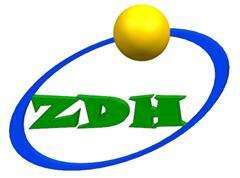 Shenzhen Hongdali Machinery Co.,Ltd is specialized in designed and produced for the Powder Coating Line. The industrial automatic spraying line is one of them, there are spray booth and dispay shelves in the room. The power of the spray booth can be produced as your request, please send us your detail requirement or ideas, then we can resolve the problem for you. The powder coating line can be designed to TV frame spraying line, glasses frame spraying line, ABS surface spraying line... The powder coating line is essential in the industry and can be designed to semi-automatic and full automatic. Looking for ideal TV Frame Spraying Line Manufacturer & supplier ? We have a wide selection at great prices to help you get creative. All the Glasses Frame Spraying Line are quality guaranteed. We are China Origin Factory of ABS Surface Spraying Line. If you have any question, please feel free to contact us.